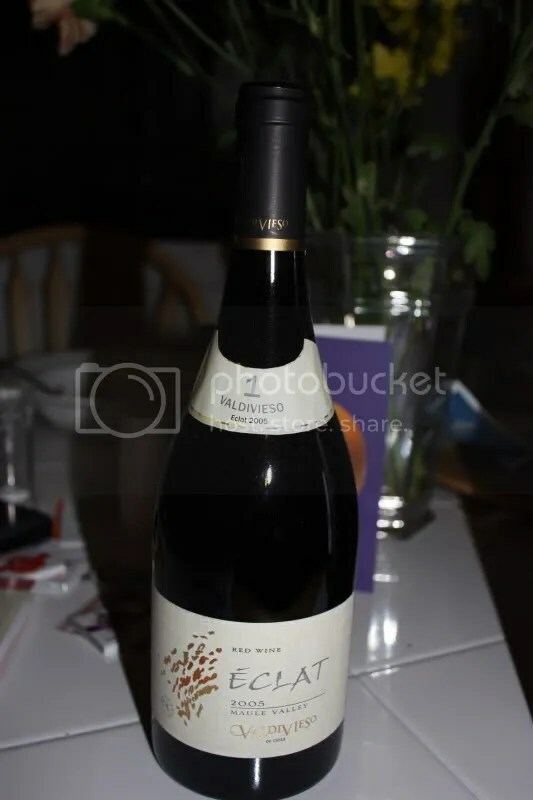 *Disclaimer: I received this wine to participate in a Wines of Chile Tasting. This is the last wine from this tasting. I think. Woot! One step closer to being caught up on all the posts I owe you from that time! This particular wine came from a Wines of Chile red blends tasting, which was very interesting and exposed the wine bloggers to an array of blends outside the norm. 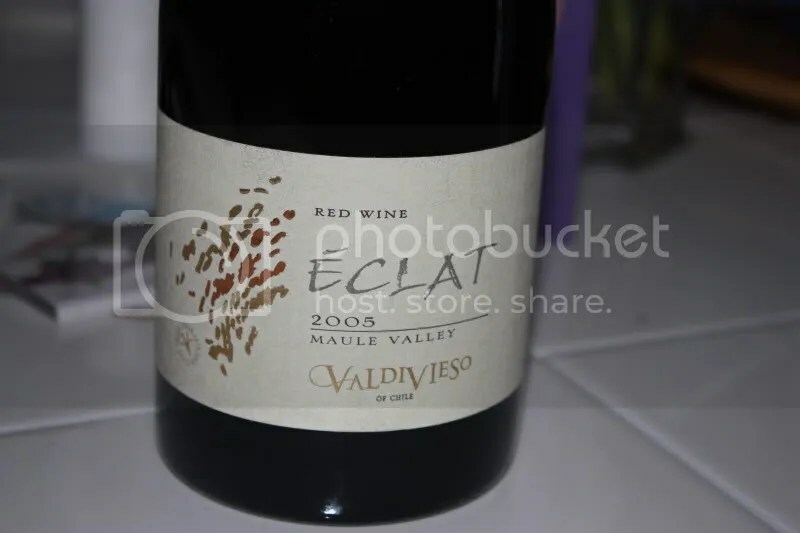 The 2005 Valdivieso Eclat clocked in at 13.5% alcohol by volume, had a real cork closure, and retails for around $24. It’s a blend of 56% Carignan, 24% Mouvedre, and 20% Syrah. I found this to be a very dark wine. It showed black fruit, blackberry, earth, plums, and a touch of raspberry on the edges. I thought the nose was dominated by the Syrah. In the mouth I got black plum, cedar, earth, blackberry, smoke, spice, and herbs. I would describe this wine overall as intense. It had a lot of everything going on and definitely deserves your attention.